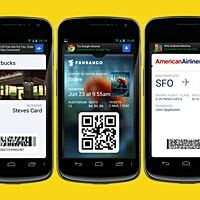 An app that allows Android devices to use ‘passes’ created for Apple’s Passbook can now beam and redeem them via NFC, giving a vision of how an NFC iPhone could streamline usage of the increasingly popular Passbook app. Attido Mobile’s PassWallet app has been updated to allow beaming and redeeming of Apple Passbook compatible passes via NFC — on Android devices. Apple’s Passbook app stores coupons, tickets, loyalty cards and more as .pkpass files, and they are typically received by email and redeemed or validated at the point of use by presenting an on-screen 2D barcode to a reader. PassWallet was developed to allow Android and BlackBerry users access to these files too, and now Attido has worked with Skycore, the developers behind the CodeReadr mobile data capture platform, to add NFC beaming to the app. “Passes stored within PassWallet normally present pass IDs as barcodes for scanning but can now also beam pass IDs via NFC and have those IDs validated and redeemed with the CodeReadr app on NFC-enabled Android devices,” the partners say. Apple lawyers must be salivating over this news. Let’s see… the name PassWallet starts with “Pass”, the same as PassBook. Copyright/patent infringement over the use of the .pkpass files in an unapproved non-Apple app. Anything else they can dream up? Not cynical here at all. Nope. Not me.